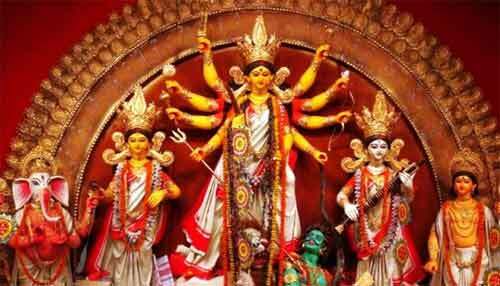 To experience the magic of Durga Puja 2018 in Kolkata (Calcutta), the West Bengal Tourism Development Corporation (WBTDC) has come up with attractive package tours to famous Kolkata Durga Puja Pandals in 2018 for both domestic and foreign tourists. Majority of the trips are on October 8, 17, 18, and October 19. There are also immersion trips by vessel on Ganga on October 19. Online reservation facility is also available at the official website of West Bengal Tourism. This West Bengal government initiative includes numerous tour packages with and without accommodation. There are one-day trips to various parts of Kolkata city, morning puja trips, evening puja trips, pre-puja trips, special Durga Puja trips to traditional Puja pandals outside Kolkata city and cruise rides on the river on the day of immersion of the Durga idols. For online booking you can visit the official website of West Bengal Tourism.